The Centennial Complex, which houses the Art Museum and the American Heritage Center, is an award-winning facility designed by internationally acclaimed architect Antoine Predock. The building is situated on the University of Wyoming campus just north of War Memorial Stadium and the Arena Auditorium, and adjacent to the Visual Arts Building. The 137,000 square-foot building took three years to build at a cost of $19 million. 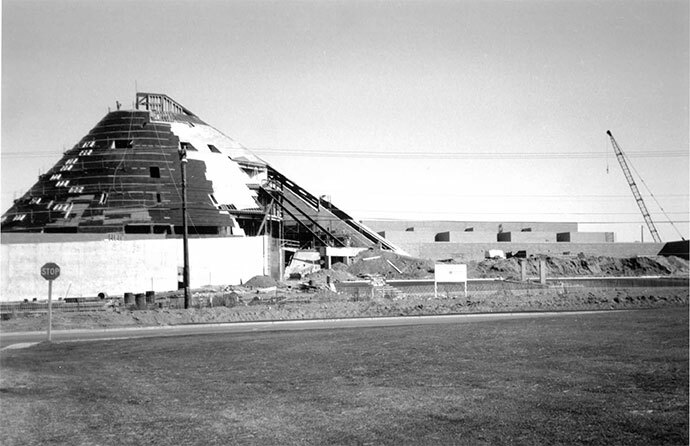 Crews broke ground on October 6, 1990, and on September 10, 1993, then Wyoming Governor Mike Sullivan and the UW President at the time, Terry Roark, cut the ribbon to officially open the facility. 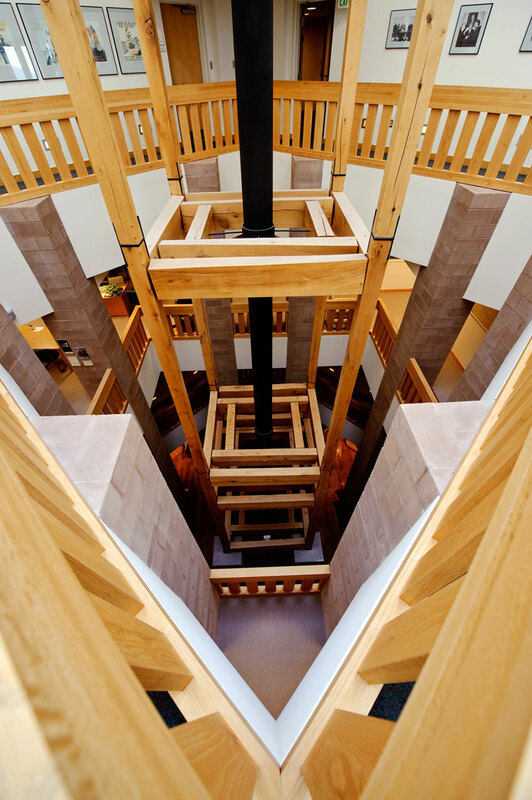 Predock’s design is an abstract representation of Western history and culture and ties the building to campus and the surrounding Wyoming landscape. The five-story copper cone, which houses the American Heritage Center, is reminiscent of a mountain peak, while the brick extension that houses the Art Museum galleries represent the rendezvous sites of the pre-settled West, the gathering place for trade, socializing and the exchange of ideas. 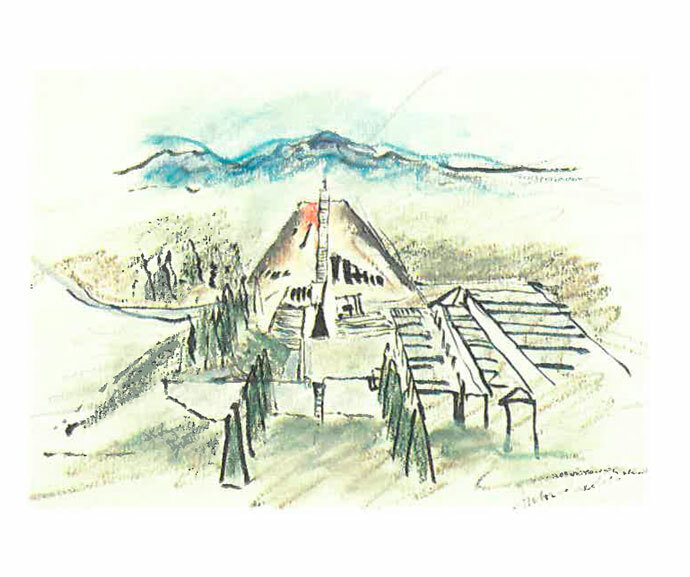 The metaphoric “archival mountain” is axially linked to the highest peaks in Laramie’s surrounding mountain ranges — Medicine Bow Peak to the west and Pilot Knob to the east. The building is also on axis with the nearby sports stadium, bisecting it and anchoring the facility to the campus and the landscape. As the patinated copper exterior of the cone weathers, it will change and evolve, mirroring the eternal flux of the landscape. 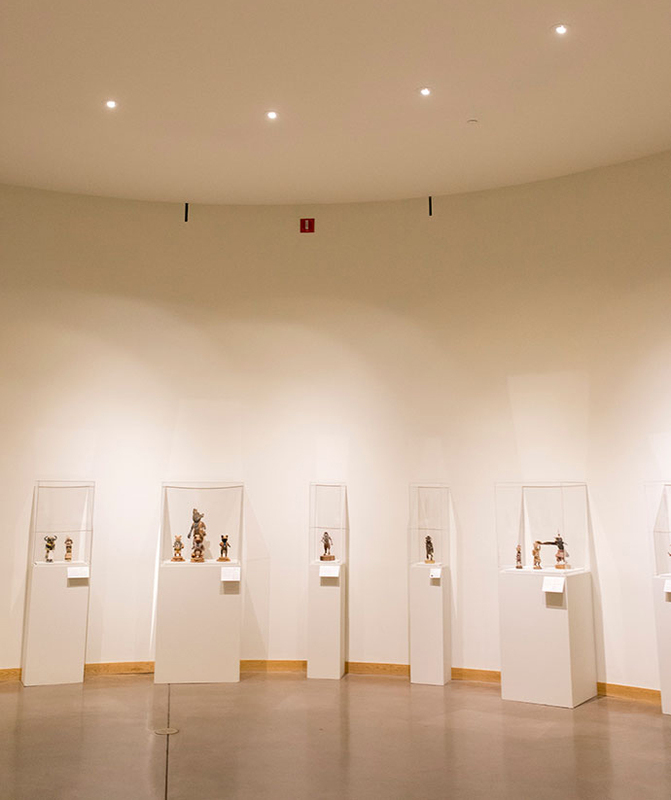 The Art Museum’s rotunda, a circular room reminiscent of an ancient Native American kiva, serves as a transition between the cone and the rectangular galleries. On the summer solstice, a beam of sunlight penetrates the space at exactly noon, illuminating a silver dollar in the center of the floor. Other carefully placed windows create a rhythm of light throughout the building and offer picturesque views of the Laramie Valley Basin and surrounding mountain ranges. The simple form and high ceilings of the Museum’s main gallery create a space of quiet reflection, minimizing distractions and allowing visitors to absorb the art on view. A long corridor borders the main gallery, connecting it to four smaller exhibition spaces and the sculpture terrace. The Loggia in the American Heritage Center represents an early forest with three-story columns that resemble giant trees surrounding a welcoming fireplace. The flue of the fireplace rises up through the top of the cone with each floor level opening rotating 45 degrees, creating a spiraling ascent to the sky-lit center.